Broken Springs, Cables, Rollers, Door Off Track, And Openers, We Can Fix It! We service all major brands of residential garage doors and openers. We specialize in replacing or repairing broken door springs, cables, hinges, doors off track and garage door openers. We stock parts for Genie openers, Wayne Dalton, Clopay, C.H.I. Doors, Windsor, Raynor, and Craftsman garage door openers. Our service vehicles are well stocked, so rest assured it’s fixed right on the first visit. Five Star Doors aim is to offer the very best overall customer service experience possible. We are a licence and insured garage door repair company providing Five Star rated garage door repair. Customer reviews on Angie’s List, Google, and Yelp have us rated as 5 Stars once again for 2019. We are conveniently located in Farmington Michigan perfectly situated to provide fast, affordable same day service to residents of Farmington Hills, Livonia, Southfield, West Bloomfield Township and surrounding areas. Affordable and fast installation on Chamberlain and LiftMaster openers. We are are the only company in Metro Detroit to offer Chamberlain openers as well as LiftMaster. With the exception of the wall mount, jack shaft opener and the LiftMaster openers with DC motors the two are virtually the same opener yet the Chamberlains can be as much as $100 less with more bells and whistles. Visit our video page for a non-bias video on the features of each opener. Same day installation available in most cases. Professional installation includes safety inspection, disposal and recycling of old unit, extended labor warranty, and setup if desired..
We Service and Sell Amarr and Safe-Way Garage Doors. Both companies offer outstanding quality and value on their insulated and non-insulated steel doors. 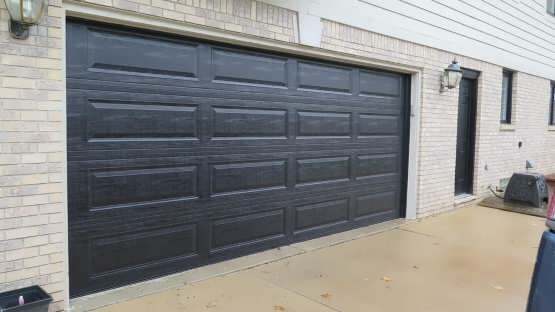 All Doors come with an extra door strut and nylon heavy duty garage door rollers.Our installers are trained and experienced enough to handle any condition such as replacing worn or rotten jams or headers. We offer a excellent product and labor warranty on all our installed doors. We are a garage door repair business that performs 100% of all their repairs and door installations. Andrew, Eric, James, Tyler, Shane, and Robert are some of the best trained and competent door/opener installation and garage door repair specialists in the industry. They are on-time, polite, professional, and bound to Five Star Doors overall goal of complete customer satisfaction. The Technician Will Call You Approximately 10 Minutes Before Arrival. Good, bad or indifferent, we post “all” unedited reviews as we receive them back. We want you to feel comfortable that you’ve chosen a service company that strives to be the best. Scroll down to view the most recently submitted reviews. 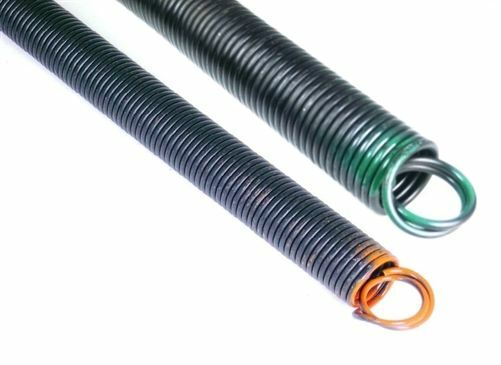 Garage door torsion springs are a vital part of your garage door operating system. When a spring breaks it can jeopardize other components of the door system and become a safety hazard for anyone in it vinsanity. We take the repair and replacement of torsion springs very seriously and always have the homeowner and family best interest and safety in mind. From replacement springs and extension springs to Wayne Dalton spring conversion kits, we service every make and model garage door manufactured; we aim to offer the very best overall garage door experience possible. Many garage door rollers have unsealed bearings that no longer function after years of rolling back and forth in a dirty garage. The rollers condition can be so severe that the barrings within are frozen in place as the garage door cycles. The only thing you have to contemplate when you are going to replace your door rollers is the size of the garage door that you have. For a 7’ steel residential garage door, you will need ten rollers. Five-panel doors or 8’ doors will require 12 rollers. Five Star Doors offers a full line of weatherstripping solutions to seal virtually any type of residential wood or steel garage door. Our weather stripping/bottom seal products provide solutions for keeping pests out and warm air in by sealing gaps and closing up exposed areas around garage doors. Choose from a wide variety of weather stripping/garage door trim colors to effectively seal around door bottoms, jambs, headers, thresholds and in between doors. High quality materials such as rubber and polypropylene brush seals as well as PVC blade type products are available to ensure you are able to create the best sealing solution for your garage door. Whether you are a D.I.Y. or prefer to have one of our professional service technicians install it, when replacing old, worn out seals or sealing a new doorway, Five Star Doors has the right weather seal solution for you. Sometimes your garage door can get off track if it tries to shut and there is an object obstructing its path. Or, it can come off track from normal wear and tear of the tracks or the garage door panels may get out of alignment. We want you to feel comfortable that you’ve chosen a garage door repair company that strives to be the best. Scroll down to view the most recently submitted reviews. We take garage door repair and garage door & garage door opener installation very seriously and always have the homeowner & family best interest & safety in mind. We personally answer all calls & will work with you to accommodate your busy schedule. We have the best trained, competent, door – opener installation & repair specialists in the industry.